If you’re buying a car, then you’re likely considering getting a vehicle service contract. Vehicle service contracts protect car buyers against costly and unexpected vehicle repairs after the manufacturer’s warranty expires. While contracts vary in coverage and price, they typically cover the cost of parts, labor and sales tax associated with a repair. Some also include roadside assistance. Though beneficial, there are several misconceptions regarding vehicle service contracts. 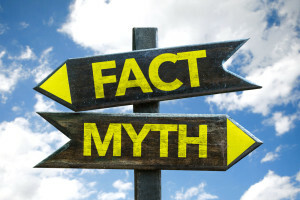 To help you separate fact from fiction, CARS Protection Plus is debunking some of the common myths associated with these contracts. As with any industry, there are going to be a few scammers out there, but the majority of vehicle service contract providers are reliable and trustworthy. To protect yourself from scams, as well as costly vehicle repairs down the road, choose a reputable vehicle service contract from a credible dealer. Select a contract from a provider with an A+ rating with the Better Business Bureau and positive customer and dealer reviews. You may be thinking vehicle service contracts aren’t worth the money and you can handle any needed repairs without coverage. Well, when you get the bill for the repair, you’ll be kicking yourself for not buying a contract. Unless you’re purchasing your first vehicle, you know car repairs can sneak up on you and put a damper on your wallet. A quality vehicle service contract provides you with the coverage you need, so you’re not paying for expensive repairs out of pocket. These contracts cater to a variety of budgets and coverage needs, so you can choose the one that’s most suitable for you. Another common misconception about vehicle service contracts is many consumers think they will not receive 100% of the coverage that’s included in their contract. They think there are loop holes in the contracts to prevent them from getting all of the coverage they believe they’re entitled to. If you purchase from a reputable provider like CARS Protection Plus, then you will certainly get the coverage you pay for and not have to pay for authorized repairs out of pocket. Before you sign a contract you should always read it carefully and clarify any issues or questions beforehand. These are some common misconceptions about vehicle service contracts. For quality coverage from one of the nation’s leading vehicle service contract providers, visit www.carsprotectionplus.com. Do I Need a Vehicle Protection Plan for My Used Car? Manufacturer Warranty vs Vehicle Service Contract: What’s the Difference?